Are among those shooting out Soulja Boy hogwash over Ariana Grande. Well the Grand with her 7 Rings single and the remix feat, Chainz has got ground for the Nicki Minaj Bed team. Soulja Boy try to put it claiming Ariana Grand thief his swag, slamming her for 7 Rings but all her fight seem get more downside and upside. 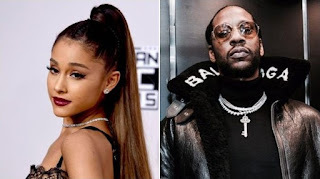 2 Chainz the Pretty Girls Like Trap Music is now swimming with 7 Rings but under remix with Ariana. Before you listen to the return of Seven Rings, you and also watch the official video here but just note that is all about A.G along in the video. Stream below.